RUSH Construction Welcomes Robert Dillow as Director of Facilities Division – RUSH, Inc.
Bob Dillow’s broad range of experience brings unique leadership and perspective to RUSH’s Facilities Division. Titusville, Florida – RUSH Construction, Inc. would like to welcome Robert (Bob) Dillow as Director of the RUSH Facilities Division. Dillow is responsible for managing all aspects of the Space Florida Shuttle Landing Facility Maintenance & Repair contract at the Kennedy Space Center. He is also responsible for leading the business development and growth of the RUSH Facilities Division. Dillow’s broad and varied background brings a unique perspective to RUSH’s Facilities Division. 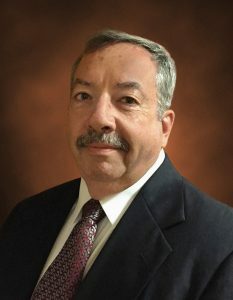 With more than 39 years of experience operating and managing complex systems and facilities, Bob is also a retired Naval Commander, having served in the US Navy for more than 32 years. Prior to joining the RUSH team, he worked for Sodexo and served as the Director of Facilities and Construction for Parrish Medical Center. “Bob Dillow’s extensive experience and outstanding references make him an ideal choice to lead the Facilities Division here at RUSH,” says William Chivers, RUSH President & CEO. The launching of a facilities division allows RUSH to pursue opportunities in the maintenance and repair of various facilities such as the Shuttle Landing Facility. This division will be equipped to handle all aspects of facility maintenance including, but not limited to electrical, HVAC, plumbing, fire protection and alarm, elevators, grounds maintenance, and building exteriors. This is a new line of business for the company, but a natural extension of its contracting expertise.